Charitable donations: How to help others while getting a much needed tax credit. way to get a tax advantage. However, and having said that, the government does make it possible to get a tax credit in exchange for your charitable donations. So you are shooting two birds with one stone: helping those in need as well as getting a tax break. But there are a lot of charities out there and the first step is to decide which ones you are going to help. I have a list of about 3 charities that I help, in addition to my own church. All of these are registered charities, so I do get that tax advantage from the government. And you should check for the same thing too when choosing where your charity donations will go: that your charity of choice is registered with the CRA so you can get the tax credit for charity donations. Decide how much you want to contribute annually: personally, I have a set amount per year. Some just donate when they can. It is up to you. For me,setting a fixed amount ensures that I am always contributing and not only when I remember to. It also ensures that I set that amount on a side. In fact, ‘donations’ is now a fixed category in my personal budget! To whom? as mentioned above, it is good idea to decide who your favorite charities are. Good idea to limit to 3 or less. Doesn’t mean you only give to those and no other ones. You certainly can, as long as it is within your donation budget amount. Once you have set your annual amount and charities of choice, it is now time to organize your donation schedule: either by preparing post0dated checks to each, on a specific date of the month. Or if you like to keep things simpler and do it all online, simply sign up for online donations. For example, let us say you have two charities that you like to donate to. Let us also assume that your annual donations budget is $500. You would then divide that amount between the two (50/50 , 60/40 or however you like) and then do the math to determine how much you need to donate per month to each one . Once you have automated it all, you can relax and forget about it. At the end of the year, you will get tax receipts of your donations for the full year which you will use when filing your taxes. 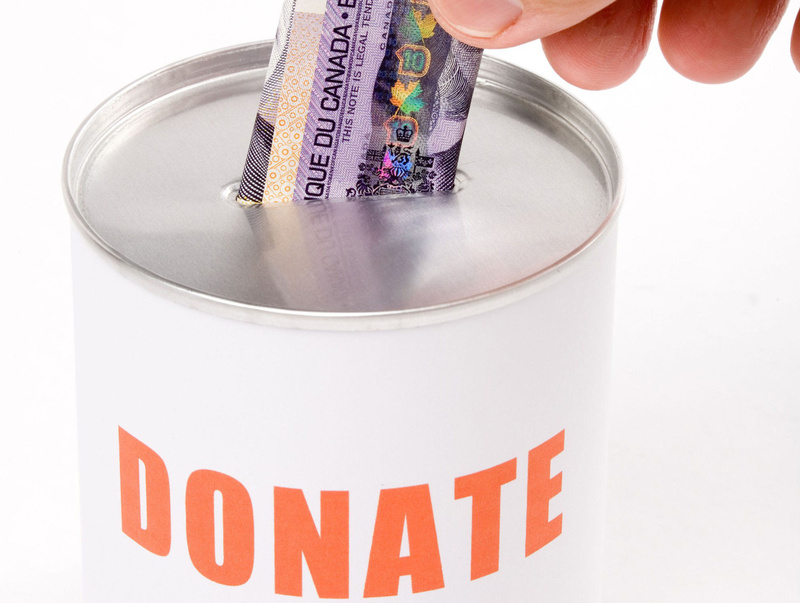 To make matters simpler, CRA has come up with an online donations calculator, where you can put the amount you have (or plan to donate) and get an idea of what you will get back in total tax credits (provincial + federal) . The cool thing about this calculator is that it can help you input numbers and instantly tell you how much you can get back in tax credits. This help with better tax planning. Again, we should look at charitable donations as a way to help others first and not as a way to get a tax advantage. But, since the government does give you that tax credit in exchange for your donations, you certainly can take advantage of it. Helping others. Helping yourself. Both can be done with the simple act of donations.